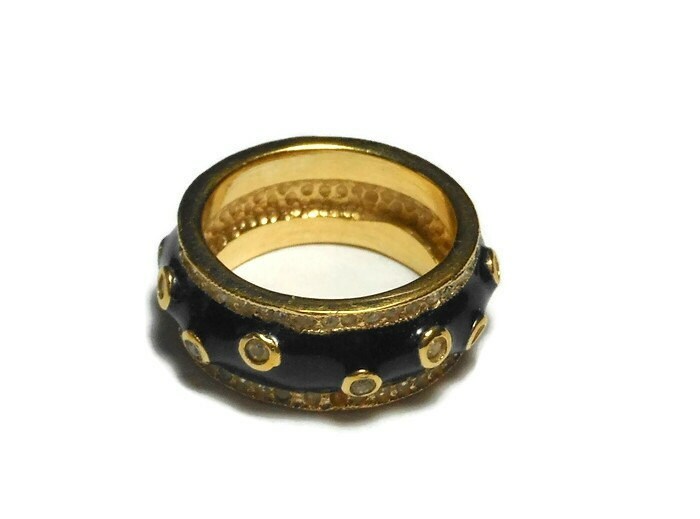 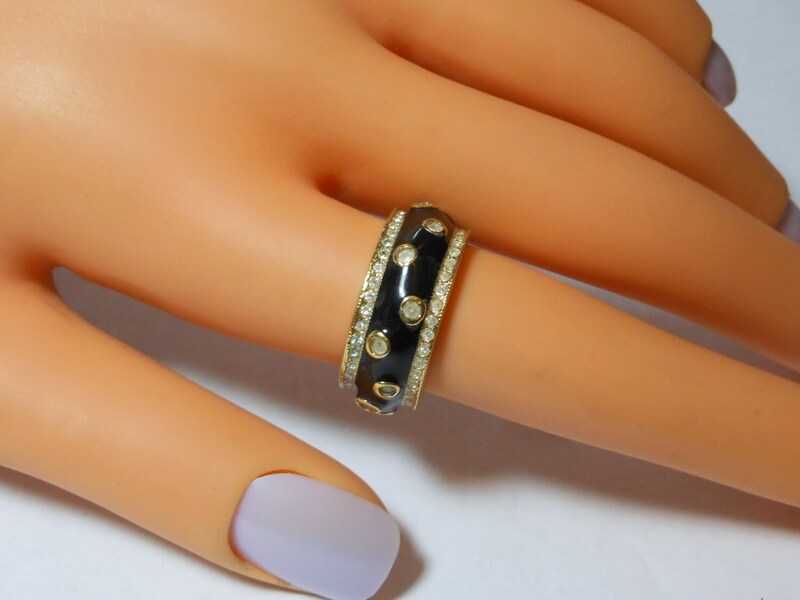 CZ black enamel ring, pave set Cubic Zirconias frame the edges while burnish set in gold CZs dot between black enamel size 6 band ring. 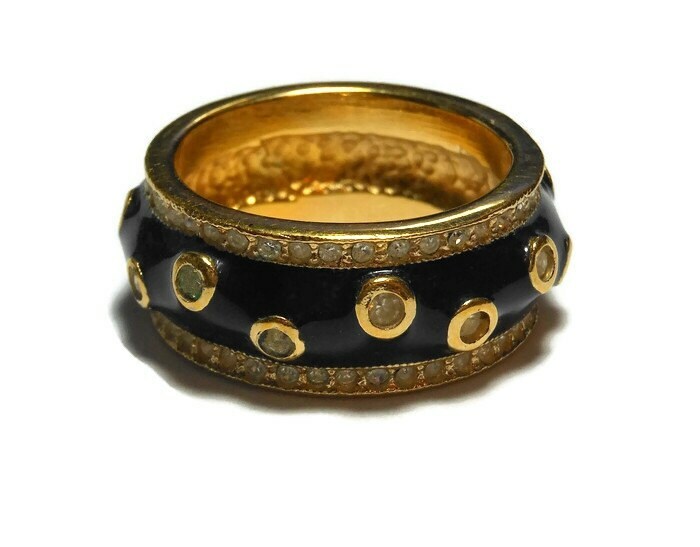 A ring and a bracelet are, to me, the most personal of all jewelry as you get to look at them yourself. 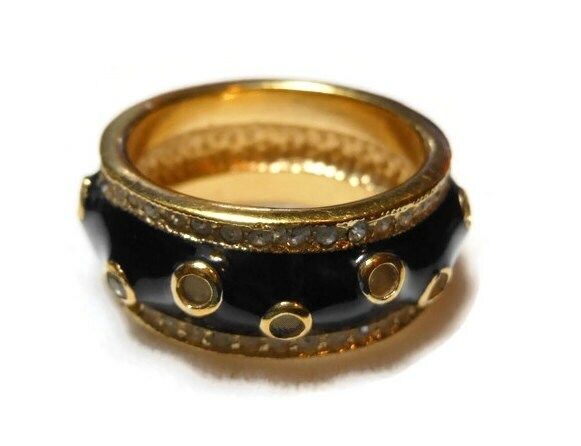 This is one you will enjoy wearing.